Deconet is the economic portal for software and a marketplace for code built on top of a decentralized and smart-contract-based registry and repository. The DCO is the primary unit of membership that network members use to curate the network with. But, I felt compelled to find out more about the project and caught with their CEO, David Sneider at the Hack Summit to find out more. David reveals his valuable insights on new kinds of economic actors called decentralized autonomous organizations (DAOs) where communities of distributed actors/workers who bring a new form of labor and value to the market- very similar to what we see in hackathons. Ultimately, his goal is to make engaging with the digital knowledge economy faster, cheaper and easier by enabling creators to capture more of the value they create. 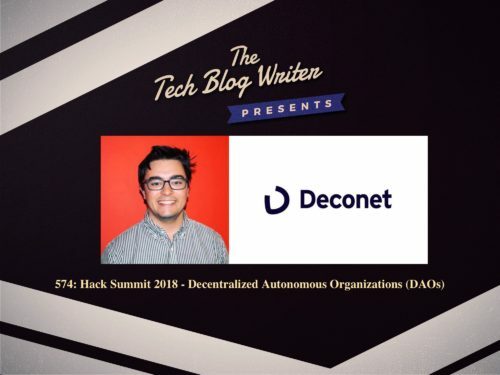 As a result, Deconet is forming the discourse around the second wave of the future of work- first it was flexible working and side-gigging, now that looks more like empowered individuals coming together in groups to create and unlock economic value. This structure could very well change/disrupt the current idea of a company or organization and change that into something a lot more fluid and distributed, thanks to new tech (like Deconet). I am quite excited about this one and how he is using technology to create an alternative future for work. Would you like free tickets to the Hack Summit Virtual Conference?